For all businesses, both the quality and quantity of reviews is critical. Today, more businesses actively garner reviews to establish credibility and improve their online reputation. Reviews boost trust in a brand and make people feel they are part of a community that loves buying from a particular business. That’s the inclusive psychology of buyers who are increasingly looking to validate businesses they buy from, through online reviews. To choose a product, find a hotel, a restaurant, or new software, reviews are all the rage. A 2017 study by Spiegel Research Center shows nearly 95% of shoppers read online reviews before making a purchase. So, reviews have become highly important for businesses in this digital age. Today, it’s staggeringly easy for anyone to leave reviews about your business- fortunately and unfortunately. The ease of leaving a review on Google or any other social platform has become a concern for business owners now that anyone can create a fake account and leave a negative review without even using a business’ products or services. As much as they harm your online reputation, bad reviews are also not appreciated by search engines, and thus affect your SEO rankings. It’s every business owner’s nightmare to wake up to a bad review from someone they don’t recognize as a customer. But, there are steps business owners can take to handle phony negative reviews and minimize damage to their reputation. It is frustrating to receive a bad review, and more so when it is a sham. 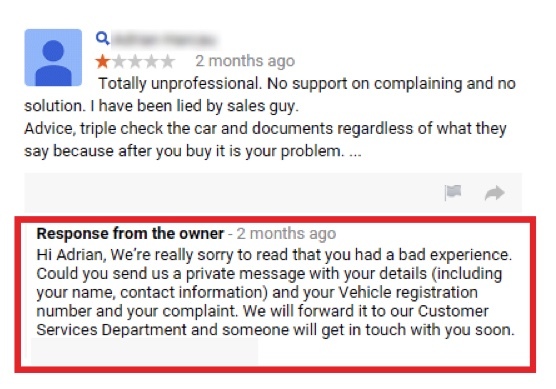 Small businesses have a lot of pressure to maintain a high rating on Google reviews, and receiving a fake review is the last thing they need. But, as much as a fake review disturbs you, our advice for you is to stay calm. Consider it a challenge for you to solve. First, make sure the review is false and does not come from a real unhappy customer. Fake negative reviews on Google, Facebook, or any other platform can be identified by the name of the reviewer, or their location, etc. There’s generally something misplaced in the information of a fake reviewer. That’s the first sign. Most times, the review either remains anonymous or uses an alias that it’s hard to believe is a real name. When you are sure the reviewer is an imposter, don’t lash out at them as it would only make matters worse. When you talk on behalf of your business, be sure to maintain dignity and a professional attitude since you represent your brand. Check your records to ensure the reviewer is not a customer. Not all negative reviews are fake. If the reviewer is, in fact, an ex-customer, you may want to look at the time frame when you served them and listen to customer service calls they may have made. The more you learn about the situation, the better equipped you will be to handle it now and in the future. If this is a previous customer, go out of your way to resolve their bad experience. However, if the reviewer has done no business with you, be ready to deal with the fake review. Spam and fake content – False information and content intended to boost rankings. Off-topic – The content must reflect the reviewer’s experience with a business or location. Any irrelevant social, political, or personal comments will be removed. Prohibited content – Any content that is derogatory, explicit, offensive, or dangerous will be removed, including hate speech. Conflict of business – No one can review their own business, a current or former employer, or a competitor business. Report fake reviews with Google My Business. Find your business listing on Google My Business by searching for your full company name. Then, click on Reviews. Next, locate the fake review, click the three vertical dots on the top right corner of the review. Finally, click on “flag as inappropriate” to report the review. 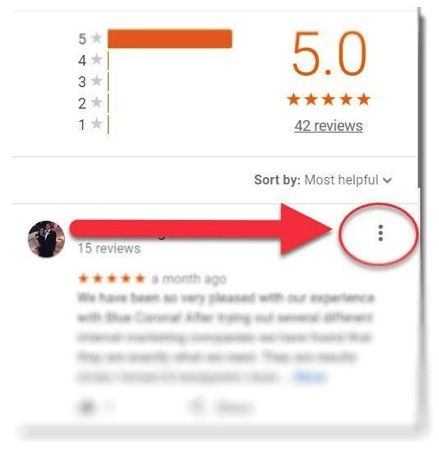 To speed up the process of getting your fake review deleted- which is a tiny possibility- you can contact Google support over a phone call or email to ask them personally to remove fake reviews on your business listing. Another alternative is to post your issue on the Google Product Forum. It covers GoogleMyBusiness and subcategorizes reviews. The forum is frequented by Google top contributors and if your issue gets their attention, it may get escalated more quickly to a Google employee. Meanwhile, don’t leave the review unattended as that could spoil your reputation. Respond to negative reviews politely and quickly. To gain the upper hand, reply to the reviewer in a professional tone within 24 hours. Don’t ignore a review ever, even if it is a positive one. When you address negative Google reviews promptly, third-party visitors know you are serious about your business and care about your customers’ experience. A negative review is your chance to build trust and reliability in your business by assuring readers and reviewers that you go the extra mile for your customers. Contact the reviewer directly. In cases where you may not be sure about the reviewer and his intent, you may want to contact them directly and sort the issue out using one-on-one correspondence. However, after you resolve the issue, don’t forget to come back to your review detailing how the problem was resolved and reaffirm that you care about your customers and their pains. There is one exception to this approach. Lawyers, for example, cannot respond to a negative review if it means violating the confidentiality of the client’s case or matter. In fact, if they do so it could result in an ethics complaint. Rather, a lawyer can respond as long as they are not providing any factual information about the client’s legal matter. We also let our clients know that having one or two negative reviews out of 50 or 60 makes the business look more credible. No business is absolutely perfect all the time. When you address negative reviews on Google, the tone of your response is important. Steer clear of excuses and don’t get defensive. You also don’t want to deny things too soon. Remember to keep your response short and straightforward. In response to fake reviews, you may mention that you are unable to find any transaction between the reviewer and your business. This shows the fraudulent reviewer that you are serious about what they said. To outside viewers, it shows you value your customers and their feedback. Keep a tab on the fake reviews you have reported. Revisit the ones you have flagged and make sure they are removed. If you find more fake negative reviews piling up on your Google business profile, a competitor may be purposely trying to mar your reputation. Consider taking legal action if things get out of hand. Defamation, while more difficult to prove, is a very real reason to consider hiring a lawyer. SEO professionals recommend this to combat negative reviews after you have taken all previous steps: accumulate more positive reviews from happy customers. If there is nothing more to do, you can always drown negative fake words in a sea of positive ones that establish your credibility and improve your online reputation. Proactively ask your current and past customers to leave encouraging reviews for your business. If you don’t do this enough, you will be troubled by fake reviews more than the businesses that actively request reviews from happy customers. Negative review services are sold on marketplaces like Fiverr. Businesses appoint shady individuals to bombard their competitors with negative reviews that can damage their reputation. Facebook and Google have both been hit hard by fake reviews and businesses need to be armed to deal with them. Online reputation is hard to manage for small businesses just getting off the ground. And, fake reviews don’t help the situation. But, these simple steps will give you the confidence to battle anyone’s attempt to defame your business. 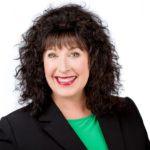 TERRIE S. WHEELER, MBC, is the founder and president of Professional Services Marketing, LLC. For nearly 30 years, TERRIE has provided outsource marketing services and worked with individual lawyers to help them hone their personal networking and relationship building skills.